After releasing my latest app title I think its time again for some Unity3D development as I have the most fun of game development in my rare spare time. I am on Mac OSX and as mentioned before – i am really not a friend on MonoDevelop. So I sticked to Consulo IDEA again, which has changed in the meantime. 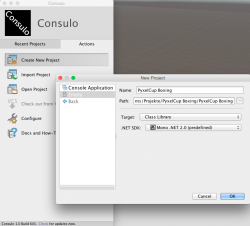 1 – Download the latest Consulo IDE version. The binary. Not the source code. There is a special unity3d edition which you can choose. 2 – If you get a runtime exception on the start of Consulo –> Its normal. It seems to have a bug. You can solve this by going to your /Libraries/Application Support/Consulo/ folder and delete the whole „Consulo Data“ folder. Its the plugins folder and deleting it will give you a „fresh“ install. Now it should startup fine. These required plugins may have references to other plugins which will be automatically installed. Now we are almost ready to go. Restart your Consulo IDE and in the meantime Open your Unity3d project (make an backup before!!!) and if you have no code yet in your project, just create an empty C# Script which will inherit from MonoBehaviour. /Applications ▸ Unity ▸ Unity.app ▸ Contents ▸ Frameworks ▸ Managed ▸ UnityEngine.dll. Finished. Once you have added that reference, try to build your project. Voila – it works (hopefully). I know the steps look complicated but basically you should be able to do this setup in 5 minutes. Now you have a super comfortable IDE to develop for Unity on your Mac 🙂 Have fun! 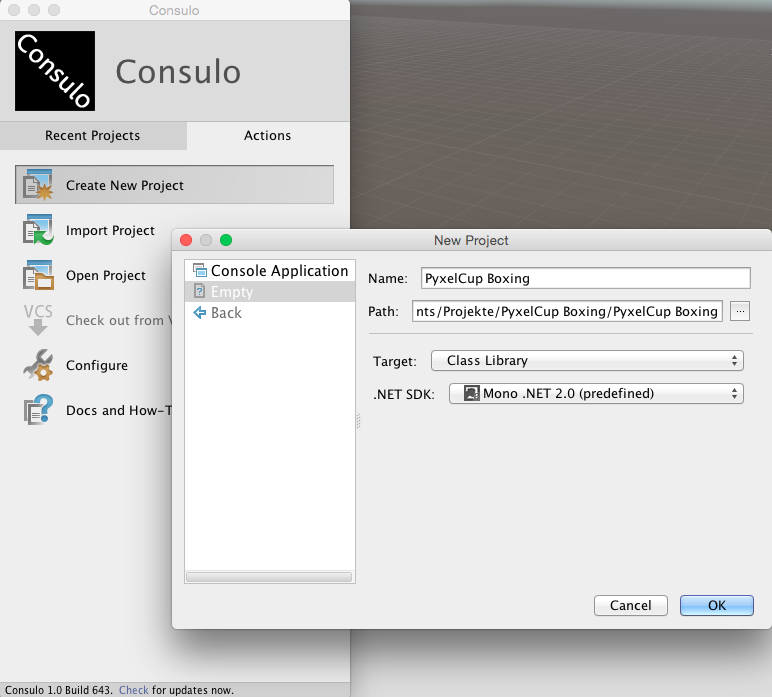 You can also add Consulo IDE in Unity as your default code editor. It works neatless.